I have a confession to make – my planner stopped working for me. It happens. Life changes or our needs change in some way and what worked before doesn’t always continue working for us. You know what I always say – make your system work for you, not the other way around. So I’ve been taking my own advice and test driving some different planner options, and I think I’m getting really close to finding the right system for me. thought it would fun to give you a little peek inside my process of setting up a new planner as well as sharing the new printables I made to help. When it comes to setting up a new planner or creating a new planning system I generally follow the same steps. My first step was to narrow down the size and style that I wanted. I’ve been using my own full-size one for some stuff, a Happy Planner for day to day home and work stuff, and I recently added a personal sized ring bound planner to the mix. 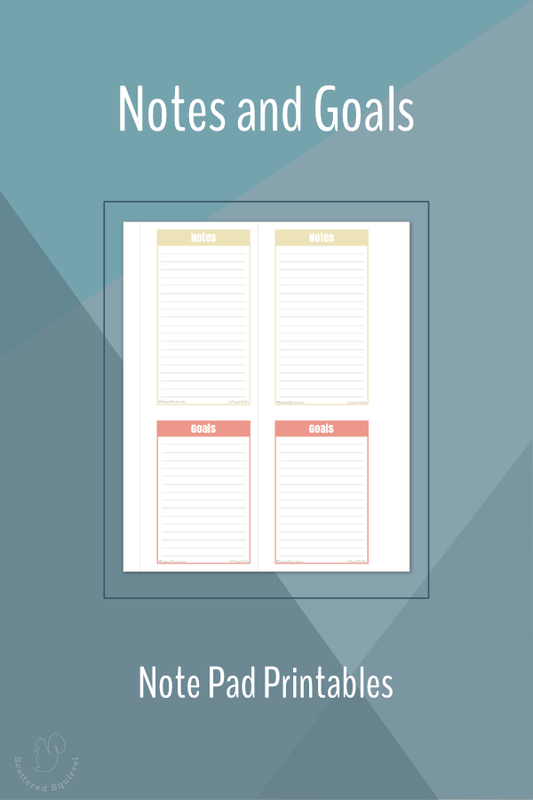 I shared the new personal size planner printables I made for it last week. After using this combination for a few months I realized a couple of things. After narrowing down my needs, I opted to stick to the Arc Jr or an A5 size planner. I’m in the middle of converting my old Arc Jr into our Home Management Binder so I was on the hunt for a second one when Shanni from PlannerMania shared the new DiscAgenda from DokiBooks on Periscope. It was exactly what I was looking for. Once I chose my size, it was time to figure out how to use it. Step one here was to play with the pages that came with it. I like test driving different layouts and you never know until you try right? The two-page weekly spread that came with the DiscAgenda is very nice and simple. In the photo above I’ve added stickers to the layout both to personalize it and to help me organize my plans. While I normally love this layout for a weekly planner I’ve been finding it a little hard to really plan my days with it, but a daily page is just too much for my needs. So I’ve decided to use the weekly pages that came with the DiscAgenda for my weekly overview and the quick planning of my week, and I made some new weekly planner printables to help me plan my days in a little more detail. As you can see I’ve opted to give a horizontal layout a try, and so far I’m really digging it. Like all my printables I kept it simple with just a day of the week labels and for something different I used a dotted grid instead of lines or leaving it blank. The dots are hard to see in the picture, but they are there. go into your printer settings and select Actual Size or manually adjust the printing margins to 0. Some printers, like mine, will still squeak in a little margin because they just aren’t built to print right to the edge of the page, but setting them to 0 gets you the closest print. The next part of my weekly planning section is the stackable lists you can see on the right-hand side of my planner above. These were inspired by my weekly to-do list printables and I knew I wanted to add something like to the mix, but I didn’t want another page to worry about. I created the lists so that once I cut them out and put them in my planner I could easily flip to the different categories. They’ve been great for helping me keeping track of everything. Absolutely Must – for those things that are a top priority that week. Goals – to help keep me on track. You could use this to set weekly goals if you want. One of my favourite things about these printables is that it is really easy to move them from one week to the next. If I don’t check everything off my to-do list, I can just pull it out and move it to the new week. To punch them so they line up like in the photo above you can try two different methods. Method 1: If your hole punch has a page guide, line up the bottom of the lists with that guide and punch. Method 2: If your hole punch doesn’t have a page guide, stack the cutout lists like you are going to put them into your planner, making sure the bottoms and left-hand sides line up. Use a binder clip to hold them together, then place in the hole punch and punch where desired. I’ve only been using the stackable lists and weekly planner pages for a week now, but I’m already really enjoying the flexibility they’ve given me. I really like that the lists help add planning power to my weekly layout without cluttering it up, and unlike my other weekly to-do list, there is no wasted space on these ones. If I don’t need to use one of them one week, I just leave it out and use the following week. Additionally, I used some of the to-do list ones to create a little pad of to-do lists that sits on my fridge. Instead of cutting along the grey lines, I just cut out along the outside of all the boxes and use a binder clip to hold them together. Now I can also jot down to-do lists for use outside my planner too. I am a habitual notes taker. I usually have a number of notebooks on the go at any one time, so creating a section in my planner for notes was a must on my list. However, this actually serves two purposes for me right now. The first being a spot to jot down notes and sketch out ideas as they come to me. The second is to help me figure out what else I might need to include in this planner. I plan to use both these printables to help augment my planning needs for right now. They’re flexible enough that I can create checklists and habit trackers if I need too and they can easily help me with project planning, post planning, and even housework planning. After a few weeks, I’ll have a bitter idea of what else needs to be added to my planner to make it work for me. Sometimes I find that by not including too many items right away, I develop a better understanding of what I naturally use a planner for. From there, if it makes sense, I can create some printables to help fill that planning need. The Ideas and Notes pages are done in the same layout as the weekly pages. The instructions for printing and hole punching are the same. 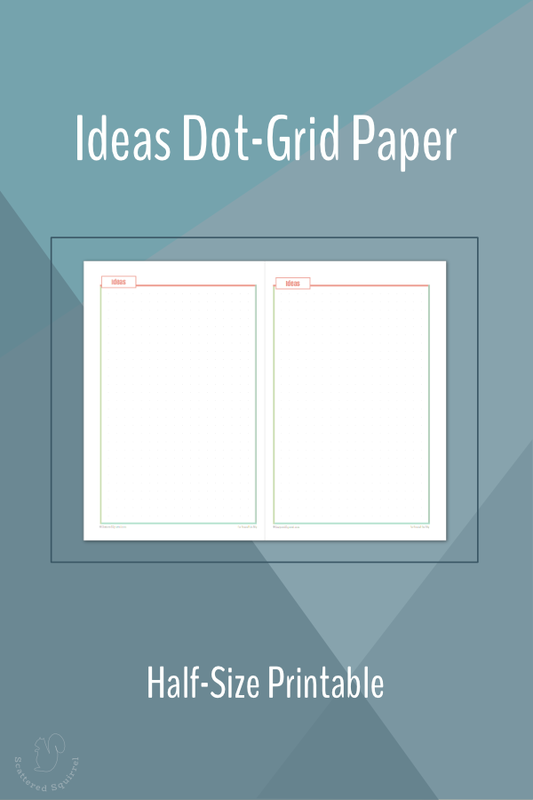 The Ideas page uses the same dotted grid as the weekly. I opted for this background because I envision this page being used for sketching out ideas and plans, holding a collage of inspiration photos, and being used for on the fly checklists. As always, to snag a copy of the printables here on Scattered Squirrel, simply click the pic of the one (or ones) that you would like to download and print. Whenever I’m setting up a new planner, there are a few staple items that get included every time. Monthly Calendars – All my planners have monthly calendars in them so that I can schedule monthly tasks based on what area of my life they fall into. Generally speaking, most of those items end up either on our family calendar or in my working planner, I find that scheduling things by areas in my life helps to keep my workload balanced. Daily Planner Pages – I always, ALWAYS, have a few of these pre-printed and stored in the back of my planner, so that on those crazy busy days I can make sure I’m on top of things. Post-It Notes – I put small stacks of post-it notes, or sticky tabs, in all my planners. You never know when they might come in handy for leaving yourself a note, or adding to your planning space when needed. Coloured Pens – I like using different colours for different things. You can create a colour-code system if that is something that works for you. I haven’t been able to create one that is easy for me to maintain, so right now the colours I use change week to week, sometimes even day today, but I do tend to use one colour for certain tasks and another colour for others so that it’s easy to see the different stuff going on. Washi Tape – Aside from being a pretty way to dress up a planner, washi tape is great for making labels on the fly, and also for sectioning off planner pages to create lists and sections as needed. I take my planner setup one step at a time. I only add things when I know I’ll use them, and when I do add something new I add it in on a temporary basis to start. If I actually use what I’ve added then great if I don’t use it like I thought I would I don’t feel guilty for printing a whole bunch of sheets I now won’t use. I make use of post-it notes and notes pages to help create temporary sections as needed and I slowly grow it from there. Like I always say, the system you use needs to work for you. If you have to work for it, it might be time to look at making some changes. Especially when it comes to tools that are easily customizable, like our planners. They’re supposed to help make our lives easier not add more to our list of things to do. That’s as far as I’ve gotten into my planner setup so far. Over the next little while, I’m sure I’ll make many changes to it. Now it’s your turn! 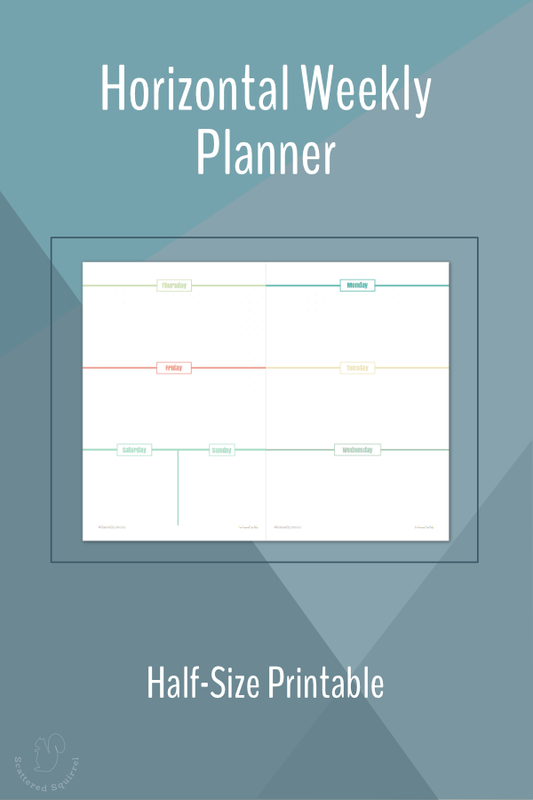 I’d love to hear how you set up your planner, what planner you’re using, and what you’re using it for. Have you found the elusive planner peace? 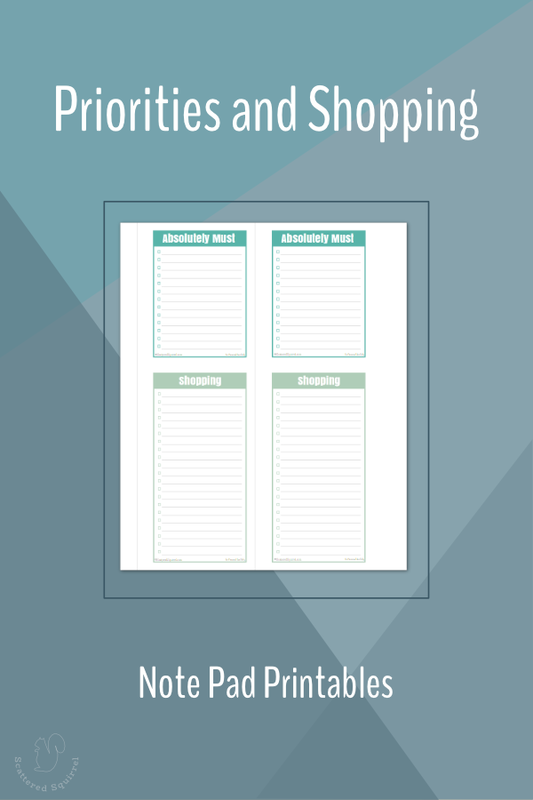 Previous Post: « New Personal Size Planner Printables are Here. That’s the one I really need! I always make such long lists and end up doing all the things that really could have waited and then I either have to put off the others or I’m rushing trying to get them done. I was wondering what kind of contact, personal information page/emergency contact info that you include in the front of your planner. I have not been able to find one I like and I am too lazy to sit down and design a pretty one. Hi Whitney, I actually don’t have one in the front of my planner, but I’ll add that one to the list of ones to create. I would love to see a video on your planner/set-up. Great article and very helpful. Thanks for sharing. Hi Sharon – I’m working on it. I’ve been working on some rather large projects lately that were taking up a good chunk of my work time, but now that they are completed I’ve got some time to dig into researching how to make a decent video. I am absolutely thrilled that I have found your site. My life has been a bit upside down for the last year and I’ve been forgetting many important events until that day! So I’m hoping that I can start (and stick to) a planner now that my children are getting older and have a lot more things going on. Thank you so much for sharing your talent with the rest of us! Hi Letty, welcome to the site!!! I hope you find some printables to help you create a planner that will suit your needs and work for you! I was searching for printable planners and i came across with your website. All of your DIYs are amazing! I’m so excited to make my OWN planner for the upcoming school yr. Thanks a lot! I hope to see more of your work. Hi Andie, I’m so glad you found us. 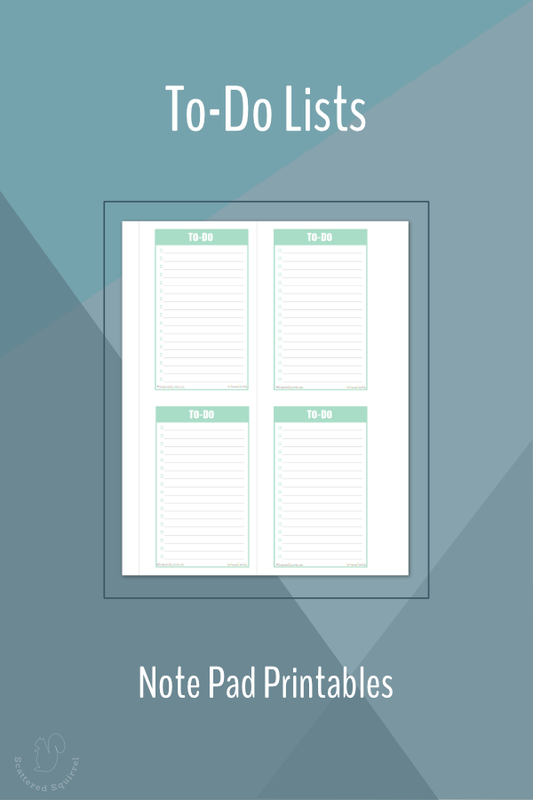 I hope you find a few printables here to help you create a planner that will work for you. Alli, thank you once again for great printables and planner info. I am currently struggling on how I want my planner to function, how many planners to use, and where I want to separate my goings on. I am a very busy person between home life, my own business, my new blog, working on my master’s degree, etc. etc. I would love to have just one planner for everything, but it would be super huge! I like your idea of using a planner for different areas of your life. Your printables are so easy to use and I love the simple, yet super cute, designs. I especially love the design you used in I believe 2015. The purple, teal and green? Those are my colors. Thanks for all your time and effort and for being so generous. Thank you so much for your kind words, Theresa. I’m happy to hear that you like the printables and are finding some that work for you. I was struggling with trying to cram everything into one planner too, and it just wasn’t working for me. I have to say, it was a little daunting at first, starting to use multiple planners, but I found that adding in one a time really worked for me. Now, it’s really nice because I grab the planner I need for what I’m working on at the time and I can focus more easily. Hi Kelly, I’m thrilled to hear that you like the printables. At this time, these one are not available in letter size, but I’m thinking I might add that to my list of printables to make. Stay tuned. Oh I’m so happy to hear you like them Peggy, and I’m glad they’ll help save you some time setting up your planner. I love your inserts but is it possible for you to make them for a letter size paper to be placed in binders? Also, what application do you use to make these inserts? Hi Kelly, these ones are not yet available in letter size, but I’m thinking they’ll be coming out soon. I use a vector drawing program called InkScape to design all my printables. Can you also make a weekly subject planner insert? Hi Kelly, I’m not entirely sure what you mean by that, could you give me a few more details about what a weekly subject planner is? I’d be happy to play around with the idea. Its like a 2 page weekly view with sections for subjects such as History, Science, English, Language, and Mathematics and maybe a space to note when tests and quizzes are. Oh, I see. I’ll add that to my list of ones to look into making. Do you print your planner pages back and front? For the most part I do print them double-side, though there are some that I leave single sided and use the back for doodles and notes. I just found your page through Pinterest and am in love with it. I am one of the most unorganized people in the world and for me writing things down comes easier than all the electronic stuff. My family has been working off Cozi for the last few years and while it does “okay” it only helps if I remember to transfer the stuff I wrote down to the electronic file. Do you perhaps have the ability to sell a set of your binder printables for 2016 and 2017 (so it gets me through the school year with all of my children and military husband). I can find an accommodating notebook to keep it all in. But this is amazing and my husband would just go ballistic if I spent so much time printing and using ink and paper. He would just make me continue to try to find something in the store that would work…. (and nothing does). I would gladly pay for the item and for s/h. Hi Amy, I’m happy that you like the printables. At this time I’m not really set up for printing or shipping, I’m so sorry I can’t be more help. I do know that many people use Staples or Office depot to print theirs, maybe that would be an option for you. It might be a bit pricey, but honestly, if it’s something that is going to work for you then it might be worth the investment. And if you’re going to need multiple planners and books anyway, it might actually end up being cheaper. It’s really informative and inspiring. Thanks Chavon. I’m hoping to figure out how to do the video soon. It’s a whole new medium tha I’m not familiar with, but it will be coming at some point. Thank you so much for sharing the stackable lists. I plan on putting them in my planner like you did and when I go to the store, I will take the “Shopping List” with me. I use 28 lb printer paper. It’s a little heavier than normal copy paper and a little more money, but I find that it’s worth the investment. you are amazing! i absolutely love your printables. they have made my planner so pretty and so functional. thank you so much! You’re very welcome Leslie. I’m happy to hear that you found some printables that work for you. Hi, I am trying to figure out my planner situation. I havnt really needed one until the last 6 months. I tried to use my phone, but that just holds dates and not details… The thing I am confused about is I have seen a lot of people post about how they have numerous planners for different parts of their lives. How does that work? Do you have one planner with everything in it in an abbreviated writing and then details in the other ones, or do you have to look at each planner to find out if you are free during a specific time? I am going to start with one for now and see how full it gets, but I thought it would be helpful for the future if needed. Thank you so much. Hi Kara, it can be really confusing when you start seeing all the different ways people use planners. My best advice, is to start with one and see how it works for you. I can only speak from personal experience, but you’ll know if you need more than one as you use it. For me, I didn’t branch out into multiple planners until last year when it just become too distracting for me to have work stuff and family/home stuff all in the same place. I still have my main planner for most everything life related though. Thank you so much for sharing your planner sheets with all of us! I started using your letter-sized weekly two-page and your two-page monthly planner sheet last November and it has transformed my life. I know that sounds dramatic, but it is true! I recently started my own small business, and this planner helps me remember to do all the little things and keep track of all the rest. I found this blog article through Pinterest and will be printing the stackables to add right away! Your system really works well for me and I love the colors you’ve chosen. You have done a beautiful thing by sharing your ideas with us. Thank you again, from the bottom of my heart! Thanks so much Cathy. I’m thrilled to hear that you found some printables that really work for you. It doesn’t sound dramatic at all. Finding the right tools and systems can make such a world of difference to how smoothly our days go. I’m so happy that my printables are helping you with that. Your planners are exactly that suits my hunt. thanks for your lovely work dear. Please keep posting more innovative work. Thanks so much Akanksha. I hope that you were ale to find some printables that will fit your needs. Hi Wendy, what sort of pages are you needing? I’ve been thinking about creating a new line for those who run home based businesses, but I’m not sure what sort of things people need to track. If you want, send me an email and we can chat some more. I like to print front and back. When I try to print weekly front to back it doesn’t work well. What do you suggest? Love This post, it was very helpful as were the printouts. 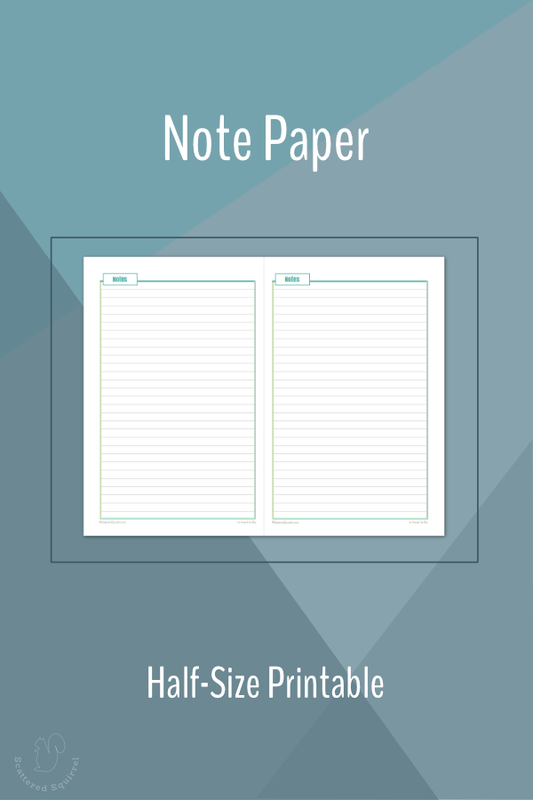 One question- Do the planner, notes and ideas pages come in full size or half size only? They look like they would work well for me but the half’s are too small. Hi Tracy, right now they are only in half-size but I’m working on making them full-size. I’m hoping to have them shared closer to the end of April beginning of May at the latest. What weight paper do you use for your happy planner pages? I love my happy planner teacher planbook and have recently made new pages to go in it but I’m hesitant about buying copy paper. For me, I find that the disc bound planners work best with heavier paper. It tends to stay on the discs better when you turn the pages. I really like the Hammermill Digital Print Copy paper in 28lb. I find it’s heavy enough to not slip off the discs too much without being too expensive. 32lb paper seems to work the best, but it can be really pricey unless you find it on sale. I would love to print the stackables — looks like just the thing to add to my Happy Planner. However, I can’t find a link or any way to print these! Do I need to copy and paste them into something else or ? Spent time reading around on your site — you have some great ideas! Subscribed to your emails, too.